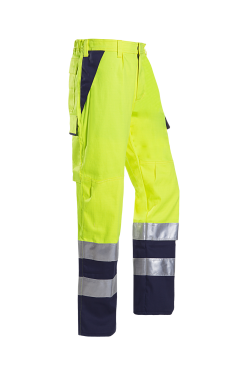 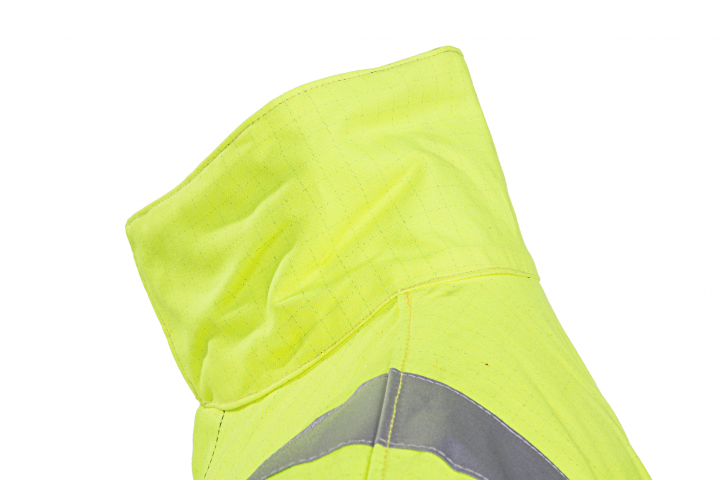 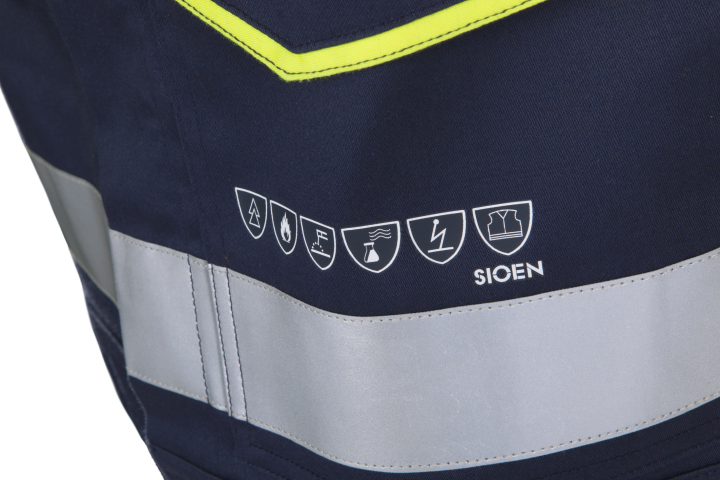 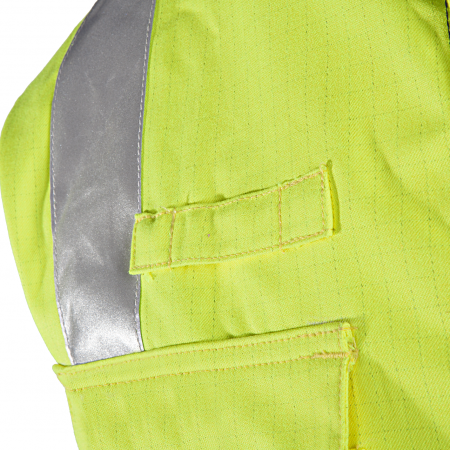 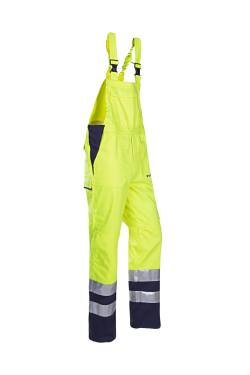 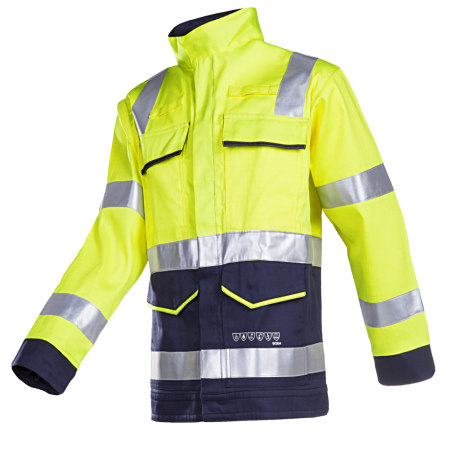 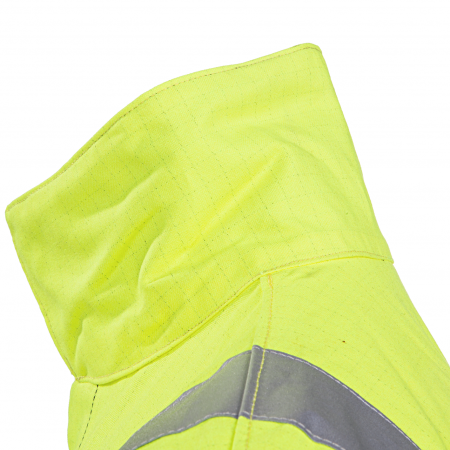 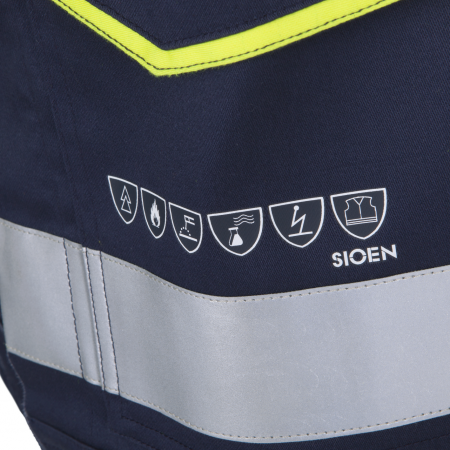 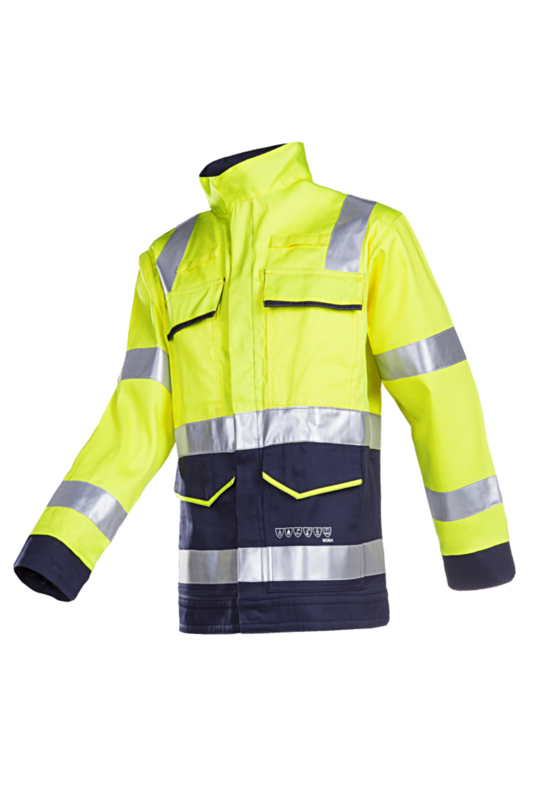 Our multifunctional hi-vis jacket Millau attracts attention: double stitched reflective FR strips, two patched chest pockets and two regular pockets with concealed press studs closure and a finish with piping in contrasting colour. 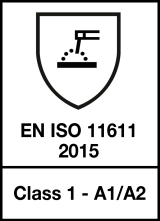 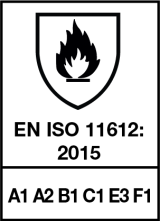 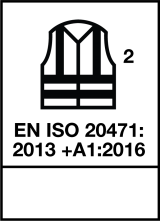 The breathable fabric with moisture-regulating properties gives you a pleasant feeling while still providing excellent protection against heat and metal splashes. 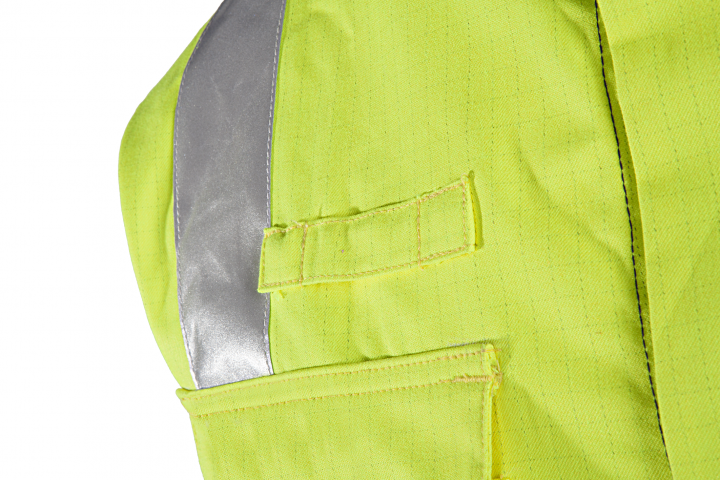 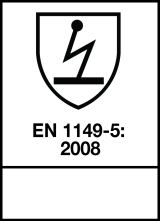 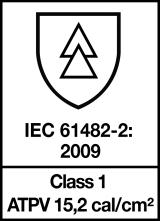 In addition, this arc jacket is anti-static.